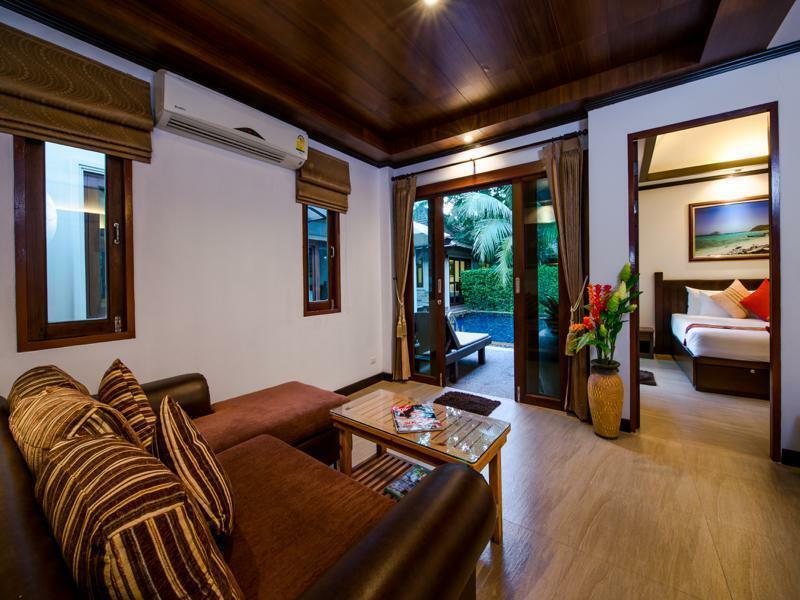 Have a question for Pai Tan Villas? "It has been lovely days we spend there and the beach is some 6 minutes walk and lovely white sand and clean warm water." "5minutes walk to beach, passing shops which is good." "Awesome customer service makes all the difference." "Beside that very clean place and a nice breakfast with many..."
Ideally located on the midway to the famed Patong Beach and Phuket Town, surrounded by the warm crystal blue waters of the Andaman Sea, Pai Tan Villas offers excellent access to many area attractions such as Phang Nga, Phi Phi Island, Krabi, Phra Theaw National Park, Phuket Aquarium, and many more. 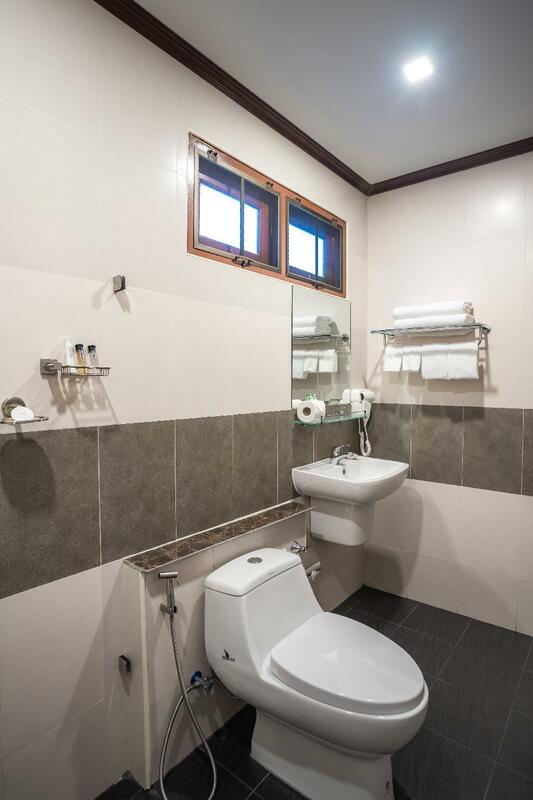 With stylish and elegant decor, the hotel features beautiful accommodation units with all the modern technology and conveniences to ensure guests have a marvelous time staying. At the on-site restaurant, guests can relish delectable cuisines in an elegant setting, and nearby restaurants offer a wide variety of delicacies for guests to feast on. After a long day of touring in the city, guests can have a refreshing dip or relax in the nearby swimming pool. 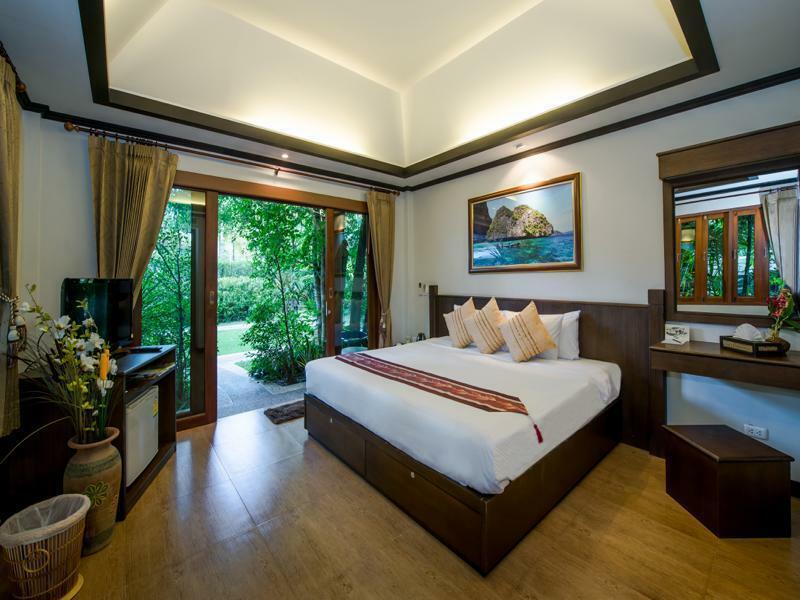 With warm, cozy hospitality and friendly services, Pai Tan Villas is beautifully designed for guests' rest and relaxation, and it is an ideal destination for all kind of travelers. "Very friendly owner/staff Very clean Exzellent breakfast Nea..."
Great place to stay, staff are all so lovely. The rooms in the villas are massive, pool areas really peaceful. Just a five minutes stroll to fabulous beach (and the best end) with lots of bars and restaurants both on the way and on the beach..... felt really sad to leave. Pai Tan has a great location, being only a few minutes walk to the beach and the many restaurants and bars of Bangtao, but is still a haven pf serenity. The rooms are spacious, clean and well laid out and the breakfast is good. Apart from a couple of smallish swimming pools, this is a place for simply 'chilling out' and enjoying the nearby entertainments. If you can get a room here, then grab it straight away! It was my best accommodation stay in 3 weeks of travelling all around Phuket. The MD, Manee Kahapana and her son were super helpful and really lovely. The new rooms that were just opened are seriously lovely, quiet and with incredible air con. The location is great too with Surin beach being an easy 15-20 mins walk away or you have the local beach which is only 3 minutes away. All the cafes and restaurants are only 1 minute stroll away. I will absolutely be back again one day! Having been to Patong and Kamala before, I was really against trying Phuket out again, so I did LOADS of research to find a quieter area that also offers amenities. I’m so thrilled with Bang Tao, as it offered that. It was very busy with loads of families, so I was equally thrilled to have found Pai Tan Villas, a mere few minutes walk to the beach- which meant it was far away from the crowds. The negative reviews from years back seem to have been taken into account and I truly can’t fault it. It was clean, spacious and quiet. Yes there were some club, construction and mosque sounds- but you’d be challenge to try and find somewhere in a built up area in Asia that doesn’t have that!! I used earplugs- as I have in most places. (And I easily slept in for both mornings). The pool was perfect for a day and night time swim. The staff were a pleasure and I only opted for breakfast one day, which turned out to be very cheap and delicious (oats and a plate of fresh fruit for THB60). It was comfortable in the room, clean, quiet and close to the beach. There are everything that you need! Kind and helpful personal and beautiful garden with swimming pools! It's not big hotel, doesn't crowded, you don't see the other guests as you are private. It was exactly that we looking for! I warmly recommend this lovely, cozy hotel. The staff was extremely friendly and helpful -we really felt ourselves welcome. The room was clean and comfortable and so was the pool and its area. Breakfast was delicious. We will definitely come back again. We booked a few nights last-minute as travelling on to a smaller island and were pleasantly surprised. We have two young kids so they upgraded us to a larger family room for free. Did our washing quickly to great standard, kids really enjoyed the pools. A great restaurant just opposite too. Warmly recommended! We had a great stay in Bangtao at Pai Tan. The staff were all really friendly and it was a nice and hidden quiet resort right by all the busyness of the beach. Easy walking distance just a few mins to the beach and all shops and restaurants! The wifi was also great, which can be harder to find at larger resorts. We liked the location in a more quiet area outside of Phuket. We liked the staff they offered assistance to things we didn't even ask for! The villas were clean and nice. Nice little pool too. We enjoyed our brief stay - the staff went out of their way to be helpful. They realized we would be leaving before breakfast,so they got us some sandwiches to take with us on our early morning departure our last morning. Plenty of restaurants within walking distance and tailoring shops and a few touristy gift shops. We walked to the beach just a few minutes away. The villas were clean and kept well, the grounds were well maintained. I would recommend this place. Severe mosquito problem, not for someone with bite concerns. thank you so much for your hospitality we appreciate all that you made for us. All positive we would like to come back!!! mejor no puede ser! Relaxing place. Feeling peaceful here. Walk for 5 mins to the beach. The distance just right for us, not too crowded but not far away from beaches and restaurants. 5minutes walk to beach, passing shops which is good. Everything is near. Silent resort and nice staff. The staff was very helpful & accommodating. They help with renting a motorbike & printing our boat tickets. The location is a short walk to the beach. We preferred this over the high priced beach front resorts - we rented 2 sun beds & umbrella on the beach for 250 baht for all day. Breakfast was delicious especially the banana pancakes & chicken bacon. The hotel grounds have lush gardens divided into different areas. Our room was small but was all we needed as we were only there to sleep. 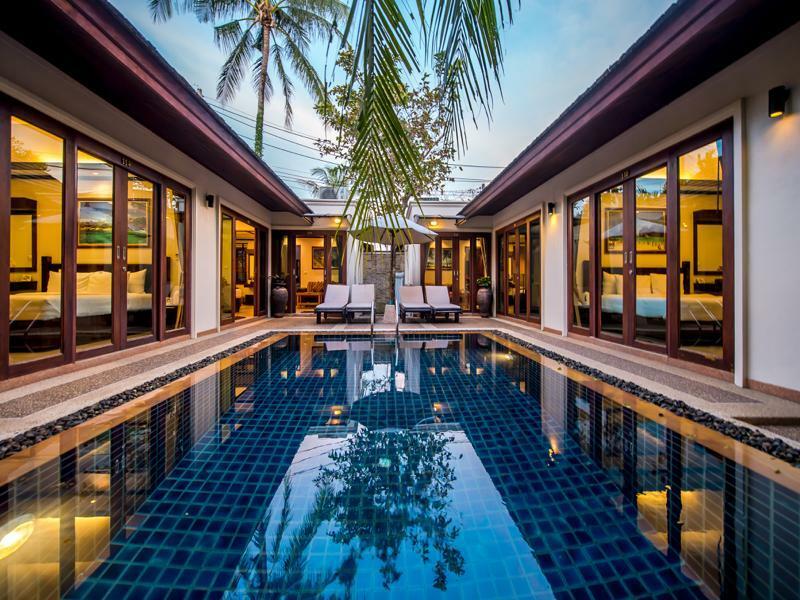 As mentioned in earlier reviews, the pool is right outside your door & there isn't enough loungers for all the villas. We didn't have a problem with this as we only used the pool for quick dips to cool off. I wish we could've stayed longer. It's a lovely property, comfortable rooms and only 2min walk to the beach (use the shortcut). The owner is a lovely lady, kind and generous who even had someone scooter out my passport to me after I had left it in the room safe on checkout. Awesome customer service makes all the difference. I really enjoyed my stay at Pai Tan and would book with them again. The room was cleaned every day with new sheets and towels. I found it very peaceful and was able to catch up on my sleep after my long journey. The rooms have air con, wifi, a mini fridge with water (free) and fizzy drinks( chargeable) and a lockable safe. The staff are lovely and very helpful. It is a small walk (5mins) to the local shops and 10-15 mins to the beach. I liked the fact that it wasn't directly next to all the restaurants and the beach as I prefer to have peace and quiet. I thought it was great value for money and would definitely book there again.